Last updated Tuesday, 8 March 2016 at 10:58:14. First submitted Sunday, 27 April 2014 at 19:44:40 by John A Harrison. 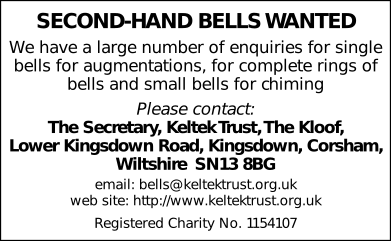 Sent for publication in The Ringing World on Sunday, 27 April 2014 at 20:29:01.